Since I haven’t done a travel post for quite some time, I decided to share a few ideas about places to retire around the world. In this post I am going to exclusively concentrate on Portugal, and share some reasons why some folks may desire to retire in Portugal. My intention is to give you enough info and facts to do further research on your own if you are so inspired. As I mentioned in one of my previous posts called, The Baby Boomer Retirement Crisis, I outlined various ways to make ends meet, including moving to a desirable area where the cost of living is lower. Let’s start out with some basic information about this country. The population of Portugal is approximately 10,813,834,and the capital city is Lisbon (3,035,000 in metropolitan area) . The language in Portuguese and the main climate is Mediterranean. Also the last time I checked, the President of the country was Marcelo Rebelo de Sousa. The Portuguese Third Republic is what is called a semi-presidential system. Actually, the Portuguese President is quite powerful. While the Prime Minister and Parliament oversee much of the country’s day-to-day-affairs, the President is very influential in the areas of foreign policy and national security, and is the Supreme Commander of the Armed Forces. He holds the most senior office and outranks all other politicians, and he does choose the Prime Minister. The international dialing code for Portugal is 351. Their currency is the Euro (EUR), while their inflation rate is about .4%. The exchange rate, although it fluctuates, is somewhere around 0.88 euro per U.S. dollar. The time zone is GMT (Greenwich Mean Time). The seasons are Mediterranean: hot, dry summers; wet, cool winters. The property tax ranges from 14.5 to 48%, there is no inheritance tax, the capital gains tax is 28%, sales tax is 23%, transfer tax 6.5.%, and rental income tax 28%. There are no restrictions on foreign ownership of property. Residents in Portugal are taxed on their worldwide income at progressive rates varying from 0% to 48%. Nonresidents are taxed at a flat rate of 25% on their taxable remuneration. These are 2014 numbers. The electricity is 230V / 50 Hz, Plug Type: C, F.
Tourist Visa: Automatic 90 days upon entry. Residency: The country’s Non-Habitual Resident (NHR) and Golden Visa programs mean it is easy for a foreign retiree to arrange legal residency. These retiree and investor residency programs are not as benefit-rich or as affordable as comparable programs in the Americas (in Nicaragua, Ecuador, or Panama, for example), but they are very competitive for Europe.The legislation stipulates the minimum working wage (around 485 euros per month currently) for the principal visa holder, 50% of that value for a spouse, and 30% per child. These requirements can be reduced if the applicant can prove he already has lodging paid for or guaranteed. Citizenship: After six years of continuous residency. There are a few other benefits for retirees and foreign residents. Recent legislation allows resident foreign retirees to receive pension and foreign income in the country tax-free for 10 years if they qualify for the NHR status. The law also provides for reduced taxation on wages, intellectual property, interest, dividends, and capital gains. Something to consider is the tax rates are relatively high and the tax-free status for NHR residents is not indefinite but for 10 years. The primary exports are agricultural products as well as food products, oil products, chemical products, plastics and rubber, skins and leather, wood and cork, wood pulp and paper, textile materials, clothing, footwear, base metals, machinery, and tools. This gives you a good overview of some of the details of Portugal. It happens to be one of the oldest countries in Europe, and way back when was part of the Umayyad Caliphate dynasty and the Roman empire. The official name of Portugal is the Portuguese Republic. Actually for many years Portugal attracted few visitors and was not that well-known. Then in the mid-1990s Europeans began to immigrate there to take advantage of attractive residency programs. Of course, its historical architecture and outstanding beaches and landscapes didn’t hurt a bit. Currently this trend is comprised of mostly European expats, but North Americans are quickly picking up on this ideal spot as an enviable place to live. The locals are very hospitable and the climate is great. Also, Portugal is the 17th safest country in the world. The cost of living there is one of the lowest in Western Europe, most folks speak English, and visitors are very welcome. 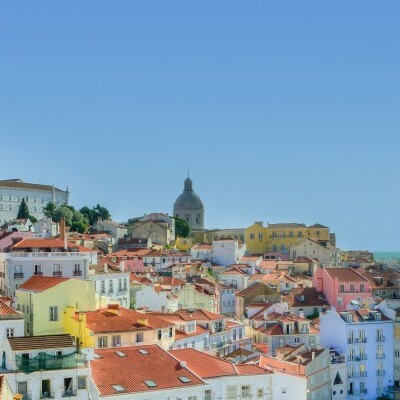 Compared to other countries in Western Europe Portugal has about thirty (30%) percent lower cost of living, good prices on real estate, and an attractive tax situation. I am going to review the Algarve Region because it is one of the most popular for expats from around the world. This is the Old World region on the Atlantic Ocean, and it just happens to be an ideal place to retire without a lot of folks knowing about it. It has cobblestone streets and whitewashed houses with lace-patterned chimneys. It is surrounded by fig, olive, almond, and carob trees. The weather consists of 3,300 hours of sunshine per year; this is more sunny days than almost anywhere in Europe. It has a hundred (100) miles of Atlantic coastline with jagged rock formations, lagoons, and sandy beaches. Additionally, the region has 42 golf courses and is a top golfing destination in continental Europe and maybe even the world. It has been a summer destination among Europeans as well as a winter retreat for snowbirds escaping from Northern Europe’s coldest months. Health care is top notch with medical tourism a growing industry. The Algarve is home to over 100,000 resident foreign retirees. It is a safe with very little crime and a relaxing lifestyle. Given the wide range of cultural, nature-based, sporting, and other activities, this region is attractive to families as well as retirees. Many expats gather for tennis at the Carvoeiro tennis club, while Carvoeiro also has a well-stocked book exchange. There is plenty of local charity and community work for those so inclined as well. It is easy to make friends with both the locals and the expats. 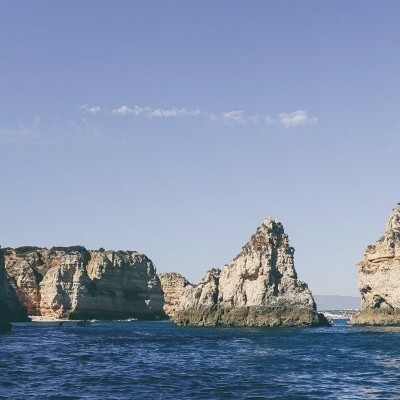 While the central Algarve, between Faro and Lagos is very popular, eastern Algarve is relatively unspoiled with lower prices and a more traditional and authentic lifestyle. The nightlife is not as lively there, but it offers good food, lovely scenery, and a relaxed pace of life. Artists and small business owners love it there, and have been opening boutique businesses such as hotels, restaurants and craft stores. Although prices are increasing, they are still well below the more developed Western Regions. Olhao, Tavira, and Vila Real de Santo Antonio are also interesting towns to explore with their own unique attractive features. 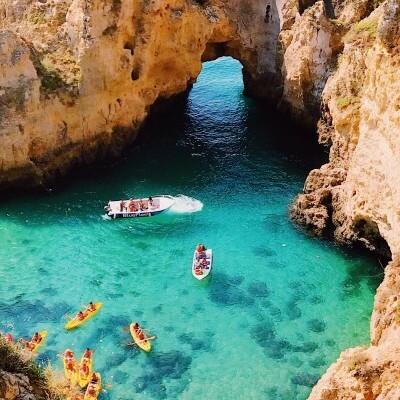 The cost of living in Portugal is about thirty (30%) percent lower than other countries on the continent with the Algarve region providing the best values. If not retired and you don’t have to earn a lot, you will find the minimum monthly wage being 650 euros with rent, groceries and other expenditures very affordable. If this is something you would serious consider, there is a wealth of information available to your from the Chambers of Commerce located there: This will give you a plenty of information on which to make a decision. If Online Marketing interests you Check Out my Review of this Online Training program which you can operate anywhere in the world. Portugal is a lovely country, and would be a really nice place to retire. For someone like myself, i can imagine I’ll need to have a good command of Portuguese or Spanish before I consider retiring in Portugal. With the upsurge of violence around the world, Portugal is one of the safest countries to retire to in my opinion. Thanks Louis for your comments. All the best in your future endeavors. Thank you for your comments. Much appreciated. All the Best to You. Thanks Paul.. Glad I was able to give you a few ideas. All the best with your adventures. Many thanks for pulling this together! Although I’ve never been to Portugal I’ve been lucky enough to experience Portuguese culture both in Mozambique (when it was a Portuguese colony and Macau (also a former Portuguese colony) and I can very well imagine the environment you have described. I must admit that, living in Hong Kong, I had not considered Portugal as a retirement destination – my thinking has always been somewhere in Asia. But your review has certainly made me think about Portugal as a possibility. Thanks for your comments Martin. All the Best in your future travels and choices.